A man was shot in the ankle at Jane and Finch on Thursday night. Luckily, this time the victim made a full recovery. 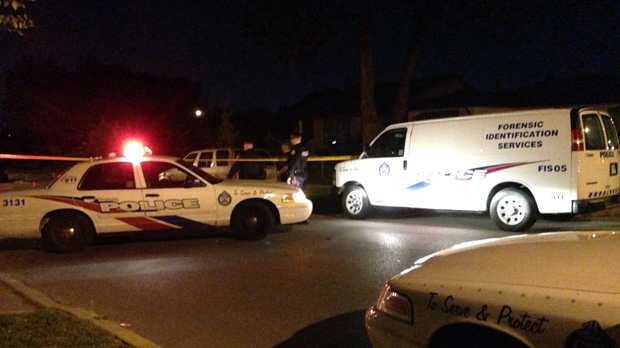 One man has been taken to hospital after a shooting in the Jane and Finch area. Police were called to 22 Frith Road, west of Jane Street, for a report of shots fired at 10:49 p.m. Thursday night. Upon arrival they found a 28-year-old man on Frith Road suffering from a gunshot wound to his ankle, Const. Jenniferjit Sidhu said. He has since been treated and released from hospital. Two suspects were seen fleeing the scene of the shooting on foot, Sidhu said. Two vehicles, a car and an SUV, were seen leaving the area after the shooting. A search of the area lead police to find multiple shell casings on Frith Road and Grey Friar Court. A person who lives on the court told police a bullet had whizzed through their window and lodged itself in a wall. However, nobody was injured. Hopefully, the beginning of a downward trend of crime in our neighbourhood and an upward tick in victim survival.